Blue Columbines fill a meadow in the Comanche Peak Wilderness area just outside of Estes Park, Colorado. 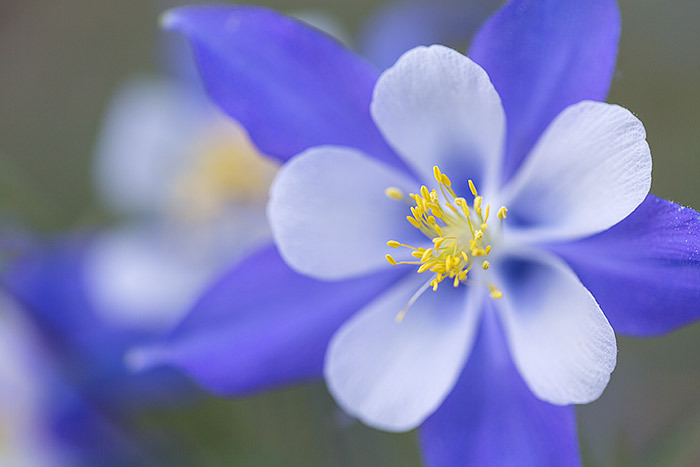 The state flower of Colorado is one of the most beautiful wild flowers and can be found at varrying locations and elevations depending on the time of summer. I found this patch of Columbines in full bloom along the northern boundary to Rocky Mountain National Park. Photo © copyright by Thomas Mangan.